In the twentieth Heidi Heckelbeck adventure, Heidi gets in some magic puppy trouble! When Heidi stumbles across a lost puppy at the park, she promises to find the cute critter’s family. Along with Bruce and Lucy, Heidi tries her hardest to solve this mystery. They check the local dog park, visit the vet’s office, and even hang up Found Puppy posters, but they can’t find the owners anywhere. 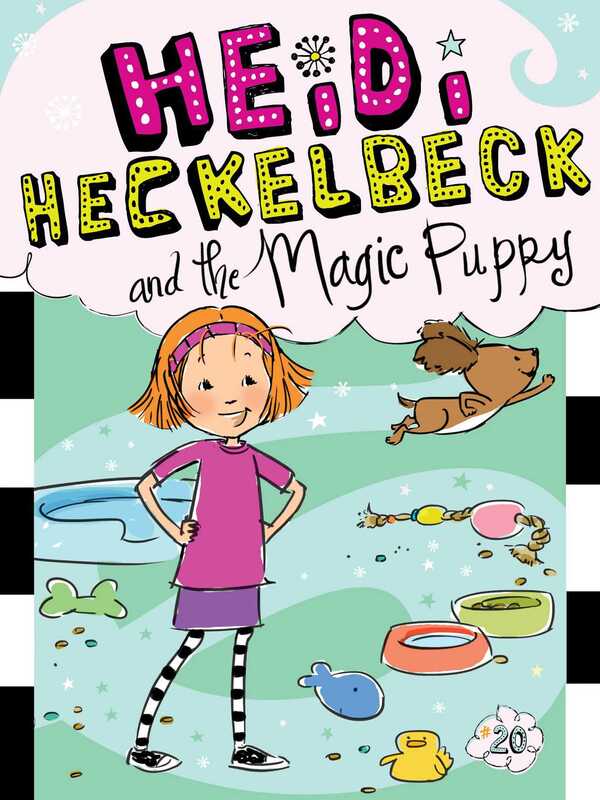 So Heidi decides to use just a teensy-weensy pinch of magic that sets off a mega-gigantic case of magic puppy trouble. Maybe this is why witches only have cats for pets?